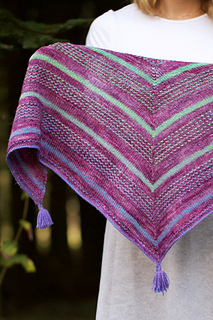 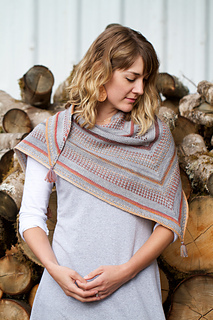 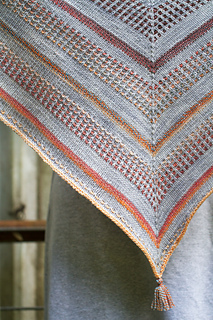 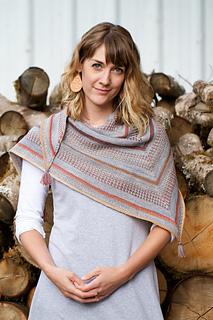 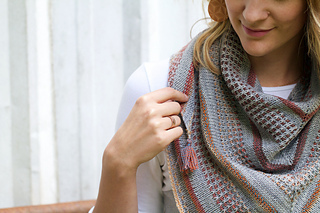 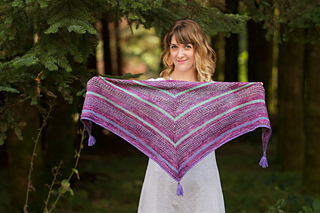 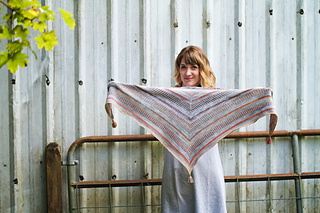 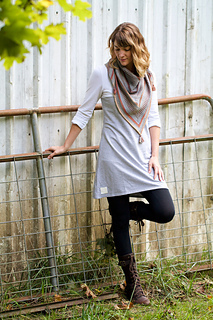 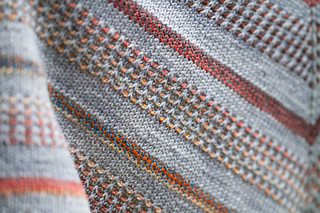 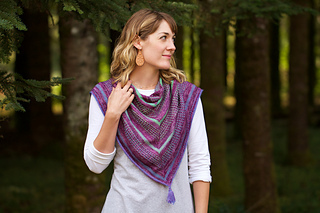 Telea is a triangle shawl filled with eye-catching slipped stitches, colorful stockinette stripes and flirty tassels. 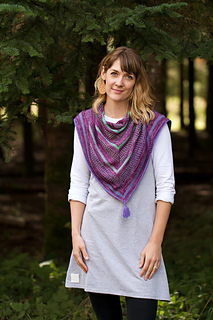 Using a combination of a unique, colorfully twisted yarn and a tonal yarn, Telea is an incredibly addictive and engaging knit. 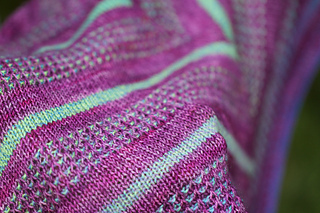 Additionally, with two sizes, you can utilize a wide range of yardage - great for stash busting those special skeins!